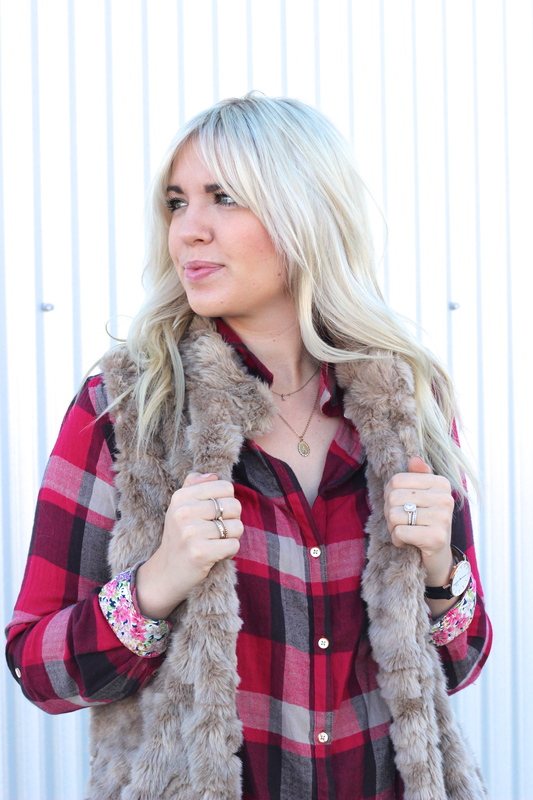 Faux... - Lovely Blonde Closet "
When I first found this faux fur vest from Forever21, I absolutely adored the length and the color of the “fur” – and of course the under $50 price tag! 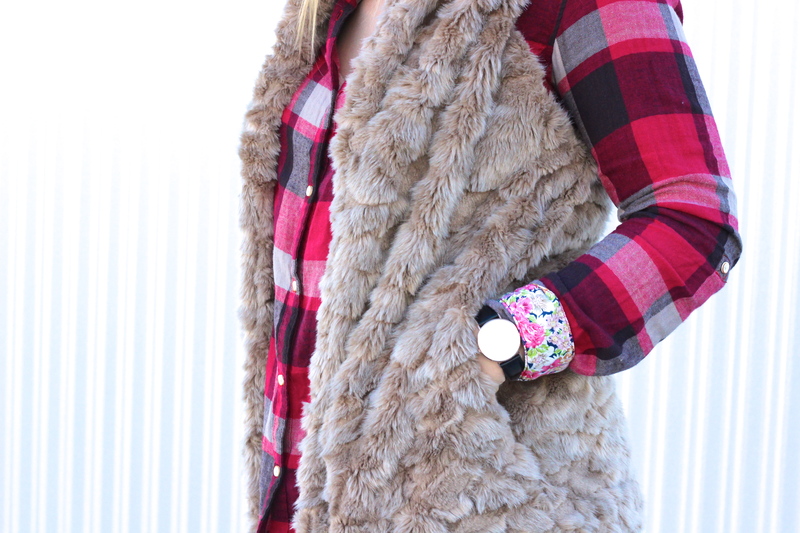 I am all about layering for fall, and a vest is the perfect addition to any outfit. It is so versatile! I have worn it with dresses, knit sweaters and of course a good old chambray. These faux leather leggings have also been a favorite of mine since purchasing them last year, and they too are a steal under $50! They are so comfortable and soft, and can easily be dressed up or down! I was so happy to receive this gorgeous watch from Daniel Wellington. It is the perfect watch to pair with any outfit – the design is so dainty and sleek! 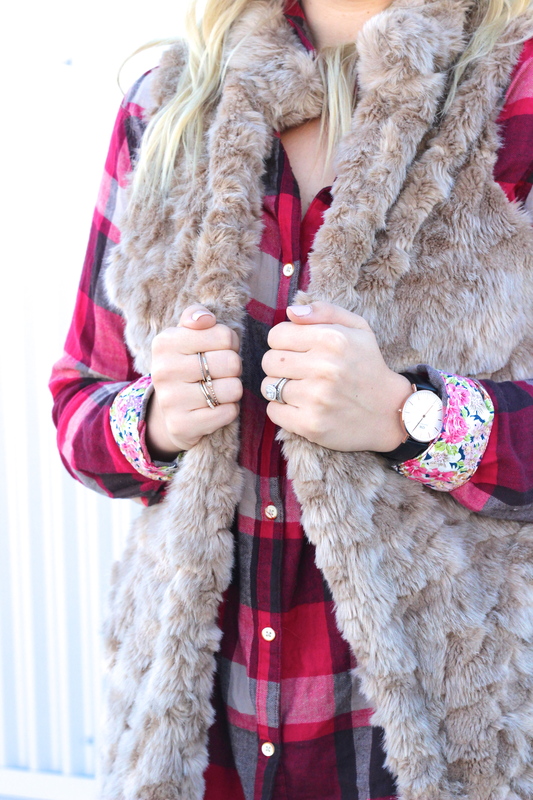 They have such gorgeous watches – you must check them out! Use the code lovelyblondecloset for 15% off your purchase! This weekend we are laying low mostly and also are bedroom furniture shopping! It is bittersweet redecorating a few of the rooms in our home – I just want our house to feel complete! We have a few projects ahead of us but this is the fun part! I hope you all had a beautiful week and can now enjoy the weekend! Thanks for reading.